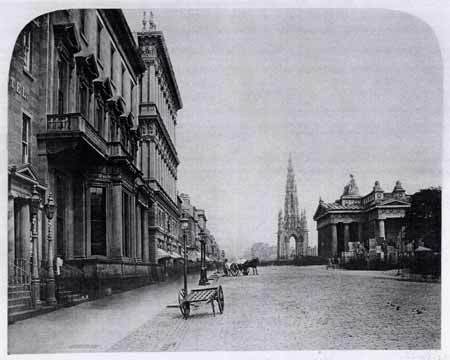 This photograph was taken by William Donaldson Clark, one of Edinburgh's early amateur photographers. The scene looks surprisingly quiet, considering that it is reported to have been taken at 2pm in July. A copy of this photograph was auctioned at Christies, London, in Spring 2001.